Almost 17 weeks into pregnancy I was finally craving food again! About a couple of days ago everything was nauseating for me even the food I use to love. So, the first time in several weeks I wanted to really eat, I wanted something savory to refresh my palate. That’s why I thought that eating Korean food was a sure way of getting my love for food back again. I scoured for Korean food blogs that was nearby my workplace in QC so my husband can pick me up and we can have an early dinner. After my day and a half search, it seemed that Woori Gohyang (formerly WooriJib) in Matalino Street Kalayaan Quezon City was the perfect choice. It was like 7 minutes away from my work! When we got there I wasn’t really disappointed. I knew what to expect and as it turned out, it was better then I thought. The place was big and there was only one group dining aside from me and my husband. At the center of the room, food was laid out buffet style. You can either eat buffet style or per order if you want to eat Samgyupsal (google it! Picture as seen above). It’s Php250/order, minimum of 2 orders and 299 per person buffet style. Believe me, it’s a lot of serving and if you don’t want to get an upset stomach after, choose wisely. I have dined in Korean restaurants before and I definitely had better. Eventhought flies roamed the buffet table, they served the meat separately. I think it was pork belly strips, the fatty part. 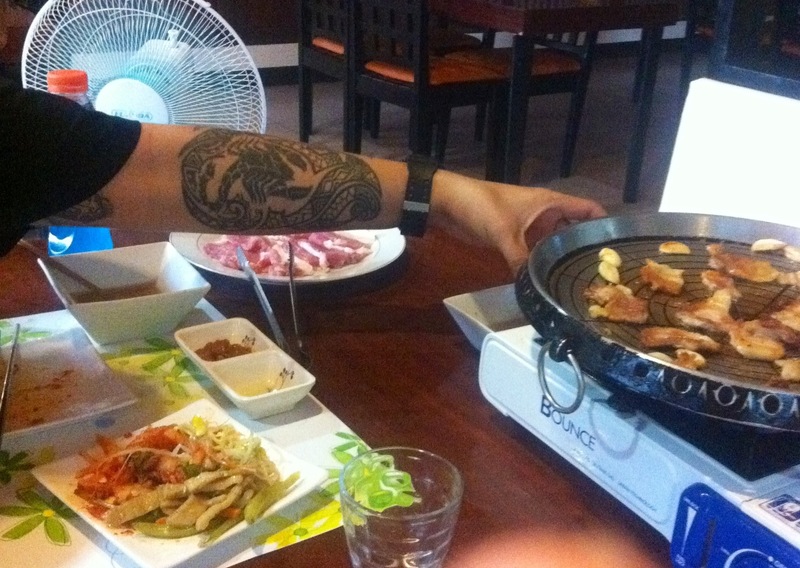 But I already knew Samgyupsal would be fatty before we got there. I googled it! At the very least it looked fresh and clean. We cooked it on a griddle. I could tell though that my husband wasn’t happy about it. Infact he was disappointed. Believe me, my husband’s a big guy who loves to eat all the time an he doesn’t get disappointed with food often so this is a record holder for him. It was his first time eating authentic Korean food. 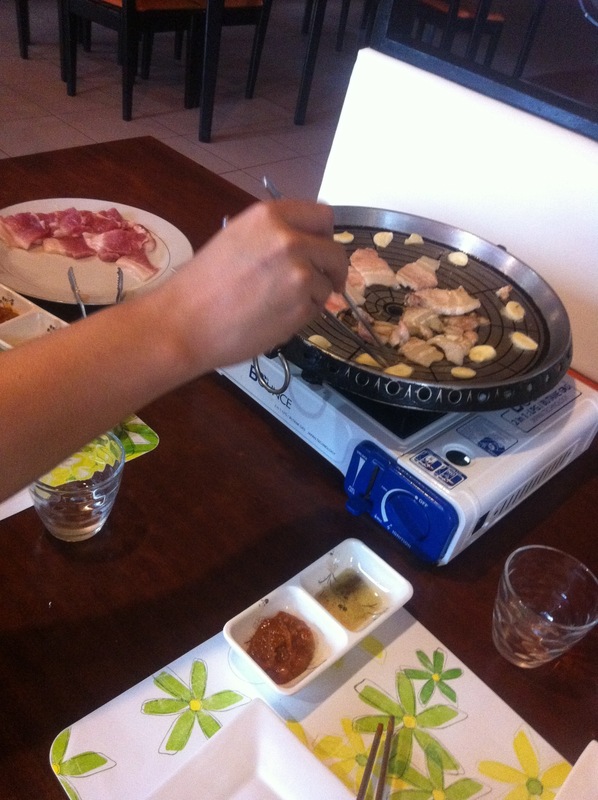 As we were both hungry, we continuously cooked the meat on the griddle. I told my husband, “Now I know why Koreans are so slim. They work hard for their food. Cooking on the griddle requires skill!” I said that because it seemed that we were burning the meat but we got a hang of it after some time. And so we ate. I thought that we were the only ones at the table. Then it was husband who first saw our tiny friend crawling behind us. 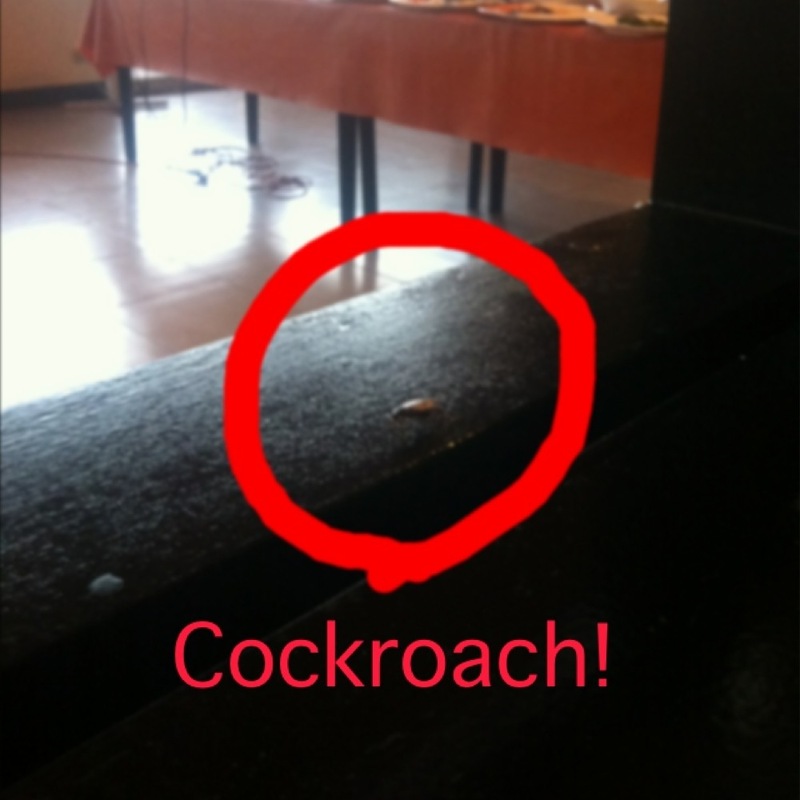 Our tiny cockroach friend, who’s picture is seen below. Later on he killed it with his water bottle and I sprayed it with alcohol. We both lost our appetite. Very bad for you Woori Gohyang. We’ll never eat there ever again! – and to think, the Korean owner even dropped by while we were there! I still love Korean food though and don’t get me wrong the serving there is quite a lot I’ll just never ever eat at Woori Gohyang ever. 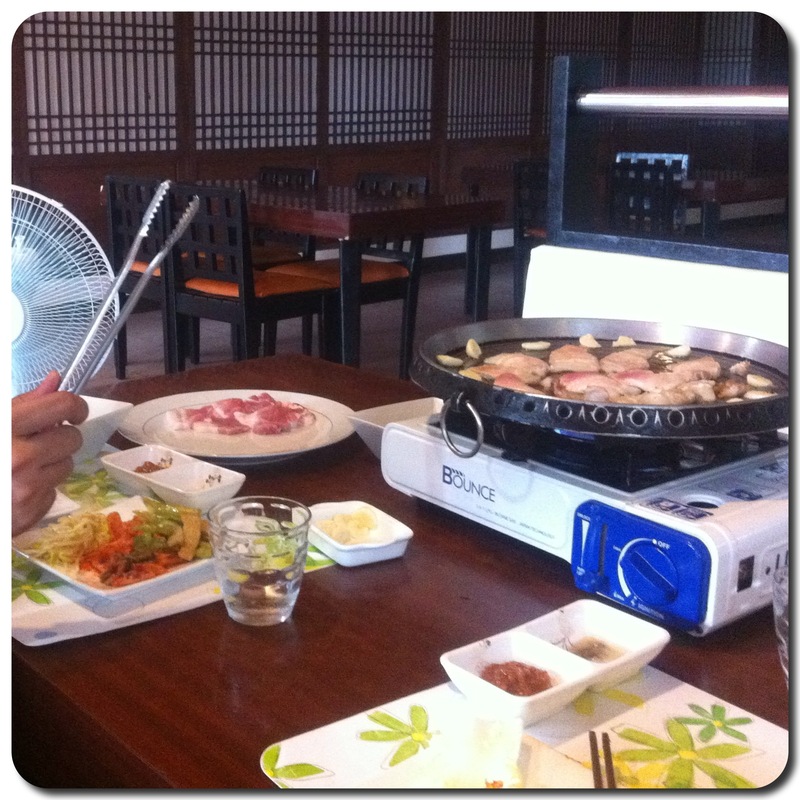 I promised my husband that I’ll take him to Yedang at Meralco, Ortigas in Pasig next time. It’s much cleaner there, and the food there is way better! Trust me, Yedang cost a lot more but is worth it. And the food, is way tastier! P.S. Sorry for the bad quality pictures. I write my blog on my phone now. ~ by TM on June 30, 2013. Thanks for this post. I was researching about this resto because I love Korean food and now I don’t think I will be visiting it. Thanks Rowena. Good to hear that i was able to help somehow.